He completed his bachelor’s degree from UPR RUM in 1979 and received his Medical Degree from UPR School of Medicine in 1983. Then he completed his Surgery Residency in UDH, VA Hospital and Affiliated Hospitals where he was chief resident from 1987-1988. 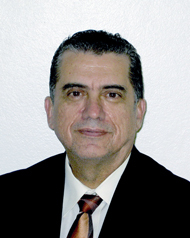 He holds numerous positions including: Director and Coordinator of the Advanced Trauma and Life Support (ATLS) course in Puerto Rico, Vice-president of the Caribbean Trauma Society, Member of a Task Force for the Establishment of a Trauma System to Improve the management of the polytraumatized patient and Journal of Trauma reviewer among others. Dr. Rodríguez has published numerous articles in renowned Medical Journals ranging in subject from General Surgery to Trauma Critical Care. He is a Board Certified Surgeon and a Fellow of the American College of Surgeons. Currently he is a full time Professor of Surgery at UPR RCM and the director of the Trauma Center in Centro Medico; he specializes in Trauma and Critical Care. 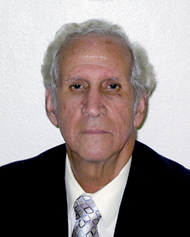 Received his Bachelor Degree from the University of Puerto Rico in 1970. Attended the Zaragoza University School of Medicine and graduated in 1976. Completed the General Surgery Residency Program in 1987 at the San Juan Municipal Hospital. After the residency, was admitted to a fellowship in Surgical Trauma and Surgical Critical Care at the Maryland Institute for Emergency Medical Services (MIEMS) in Baltimore, completing it in 1989. Has been a member of the Transfusion Committee, Tissue Committee and Pharmacology Committee; Chairman of the Department of Surgery and Director of the Surgical Intensive Unit at the San Juan Municipal Hospital. Is currently an Assistant Professor in our Department and a member of the Utilization Committee at the Trauma Hospital. Palliative medicine is a sub-specialty of medicine that aims to improve the quality of life and survival of patients experiencing a serious illness. This is a unique specialty that focuses on the relief of pain and other symptoms no matter the diagnosis or stage of the disease. This form of care is provided alongside curative treatment throughout the course of illness including the terminal phase. After completing a residency in any of the qualifying specialties a board-certified physician can complete a 12 month fellowship in hospice and palliative medicine. A palliative care physician can work in the acute setting in the emergency department and intensive care units, and also in the outpatient setting as well as hospice. In Puerto Rico the field of palliative medicine is still underdeveloped. 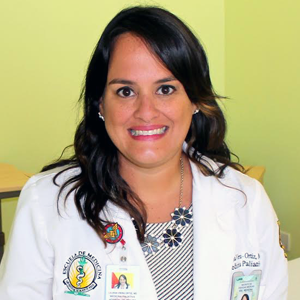 We have created the first inpatient palliative care service at a public institution serving our patients of the Trauma Hospital in the Puerto Rico Medical Center.